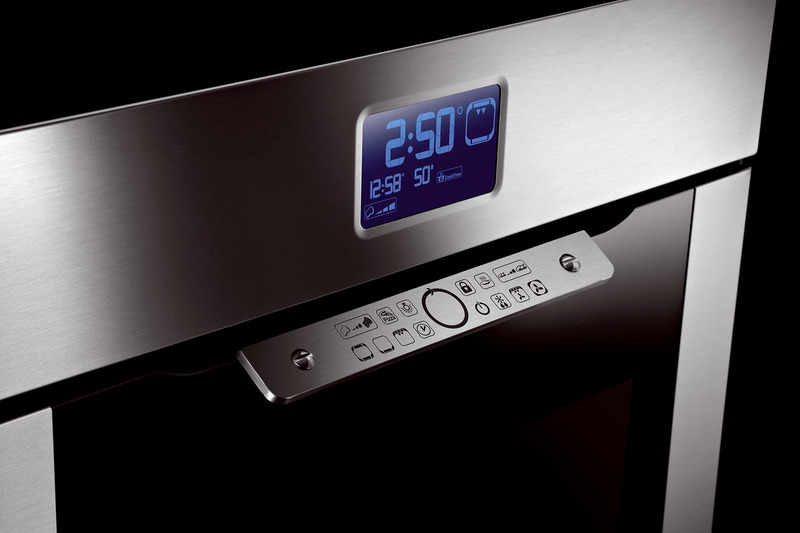 OVEN CONTROLS PANELS INTEGRATED DISPLAY MODULE WITH TOUCH BUTTONS ON METAL SURFACE. Customized UI: Choise of customized functions for TouchPad and icons graphics. LCD with different colored Backlight. TouchPad UI and Display with Oven panel assembled as single integrable component.